Meet Sabrina Chammas, founder of L'Atelier Coworking and The Focus Journal. My name is Sabrina and I'm Lebanese and Canadian. I lived in the US for nine years before coming to Canada. When I was living in the US, I used to work out of a coworking space in Venice Beach. That was my first exposure to coworking spaces. I really liked the idea and I like that I didn't have to work from home alone anymore. I was part of a community but I noticed that a lot of people there were in tech and tech startups. I was the only one doing something a bit more creative. So, it surprised me. There wasn't a place in LA for creative people. LA is the entertainment capital of the world. I knew there were a lot of people in my industry like creative industries, film, design all that stuff and that also needed a space to work from. Then I ended up moving to Vancouver for a lot of personal reasons and I decided to make the idea happen there. I built L'Atelier coworking all by myself but I did hire contractors, an interior designer and I hired a web designer. The contractors because I did renovations to the actual space but I'm the sole owner of the space. I did it all by myself. Now, it's one year later and I'm starting to add people to my team slowly and they're helping me expand into products. Now, I rented a space so I'm paying. The margins are pretty low because rent here in Vancouver is very expensive. I don't make a ton of money but I'm doing okay for now. That's why I wanted to add products so I can bring in more revenue without raising the prices for members. It's booming right now a lot of spaces are opening up. I heard of spaces opening up every month. It's really good that so many spaces are opening up in the city because we really need it. People can't afford to rent their own offices anymore, the prices are really up, very high. The competition is good in this case because there is a need. I don't see it as a bad thing. 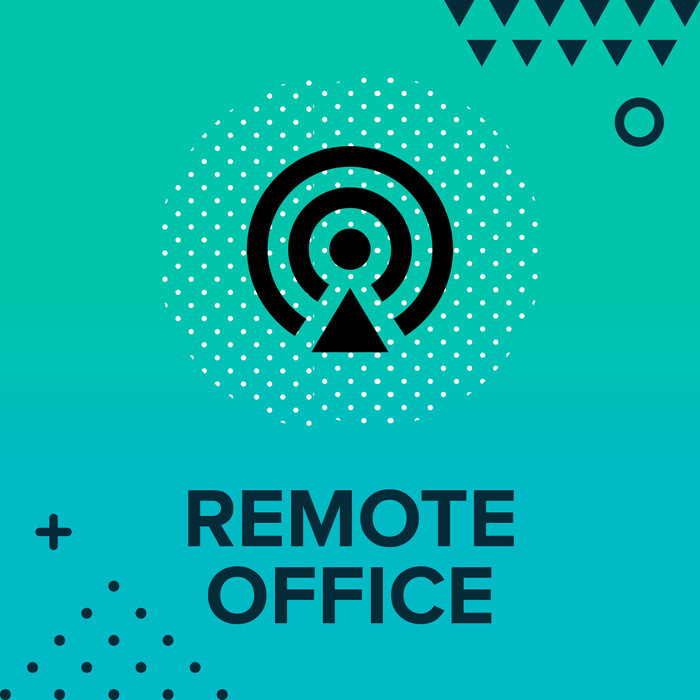 A lot of coworking space owners, we talk to each other, we have collective, so we actually talk to each other, give each other tips and we help each other out. I think it's important in an industry like coworking because we encourage people to work together and collaborate. We want to do the same for our own business. Different coworking spaces in Vancouver are open to collaborating and talking to each other and it's not a bad kind of competition. It's actually a good kind of competition. Most people who come to L'Atelier are in the fields of marketing and design. There's a lot of smaller you know marketing firms, design all kinds of design, graphic design and product design. There are also a lot of people as well in tech but not much. We're more heavy on a creative side. There are some people who are in e-commerce, some people in nutrition and the wellness industry. People who sell supplements for example for because wellness is a big thing in Vancouver. People are very health conscious. There's a lot of people focus on health as well. It's pretty easy to join. You can even book hot-desking, our meeting rooms online. If you want a dedicated desk you have to book a tour in which you can do online as well. Then based on an availability you can have your desk within one day. It's an easy process and I try to be inclusive to everyone who wants to join. 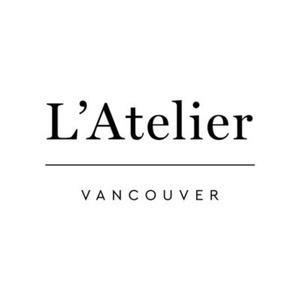 As long as people feel could get the benefit from L'Atelier, it's a good vibe for them and a good fit for them. I don't usually discriminate on who can join and who can't. If you're higher levels of memberships then you can get 24hours access. Yes and no. I'm planning to expand right. Now into products first because it would be a bigger risk to just take on a new location. It's a lot of capital to start one especially at the level or standards that I have for L'Atelier. It's not just renting a random space and having good internet connection. I actually did a lot of renovations and invested a lot in good furniture, in the design of the space. So, I'm not looking to expand quickly. I'm more looking into expanding smartly. Starting slowly with building a good brand, having products and then seeing where this goes first. There is no investor. I started by myself with my own funding and get support from family and friends. Right now for expanding into products, we're doing a Kickstarter campaign. It's crowdfunding. I'm lucky that I was able to do that, not everyone can do that. It's really good thing if you can then you don't have to pay for interests. The Kickstarter is launching on Thursday. It could be 30days. It's a journal like productivity tool so it's kind of a planner. It's more focused on you achieving your goals. The goal is going to be CA$ 17,000 so it's actually less than US dollars. It's not that much but it will be enough for us to fund the project and get them into production. We're promoting it through people we know, first friends, family, members of the space and anyone who comes to our website then we're also doing Facebook ads. If you backed a pack of three or four for example it's going to be cheaper than if you buy one at a time. It's not very expensive like the price of a nice lunch. Everyone can buy it and it's not a big investment. It's a very small amount of money for a pretty good product. That's going to help you. The design is minimalist design. It's gender-neutral. A lot of the planners and journals that you see today in the market they're very geared towards women, we wanted to make it gender neutral, very minimal so that both men and women can use it. About highest backer, we consider think to mix match with combine with membership but we want to separate the products and the services. The biggest type of marketing, the most efficient one is to host events at the space. Sometimes if someone sees you know, digital ads five times they don't know, it doesn't make them really come to the space but if there's an event creates a reason for them to come and see the space in person. The experience you get in person is very different from photos. I have nice photos but when people come in person they always say wow I didn't realize it was so big. It looks very good in person so getting people to come in person through events. Even if it's free events or workshops it's a really good marketing strategy and it has worked. We use social media a lot. Instagram is our primary platform for social media. We almost have 4ooo followers. We posted really high-quality photos and the feed looks very visual and nice. It creates a conversation between us and people who are interested in joining. They can feel free to message us on Instagram then it makes us seem very accessible and easy. Our unique selling point is actually the space itself. Working from L'Atelier doesn't feel like working so this is the biggest selling point. You can talk about amenities all you want but at the end of the day competing on amenities is not gonna make a difference. We all offer good coffee, we all offer good chairs and all that stuff but for me the most important thing is that when someone walks into L'Atelier, they feel good and they feel like their work is important. They feel like they could connect with other people and it's just the environment is the biggest selling point for me. The space is bright space with nice furniture sometimes we play music. I'm very friendly when you come into the space. It's an environment for people to feel good and that's the most important thing because people spend most of their life working and if their whole life is spent working and they don't feel good about working then you know they're having a bad life. Right now, the plan is to start making our own products that way we can expand the brand globally. That would be faster to us expand the brand globally through products than by opening different locations. Because it takes less time to make products. Then once the brand is recognizable globally, so people in Singapore start using our products like the journal that we're going to launch on Kickstarter. Then people will start liking our brand and they would want to come to L'Atelier. Then we would consider opening different locations. The journal is the first product and the plan is if the journal goes well is to make more products.